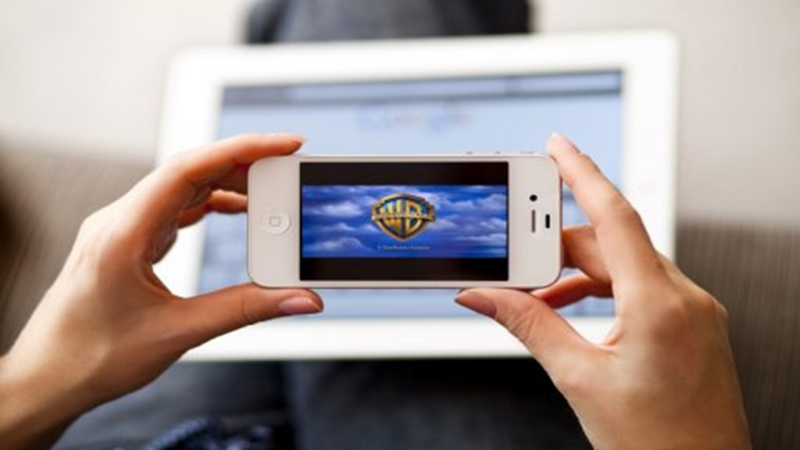 Will Mobile Video Stats Lead to the Rise of Mobile-First Video Services? We live in a mobile world. With the upcoming market invasion of mobile-friendly OTT solutions, let’s see if the market is ready for mobile-first OTT services. What do the fresh numbers say? Today’s consumer watches more video content on their mobile devices than ever before. In fact, last year, a study from Cisco found that by 2021, mobile video will account for 78% of all mobile traffic. That creates an enormous amount of potential for broadcasters and content providers. What’s more, the total number of smartphones (including phablets) will account for more than 50% of global devices and connections (6.2 billion) – a rise from 3.6 billion in 2016. That’s almost double. Another interesting insight from the report highlights that 5G is expected to account for 1.5% of total mobile data traffic by 2021, and will generate 4.7 times more traffic than the average 4G connection. Now, let’s see some stats on subscription services and mobile viewing. 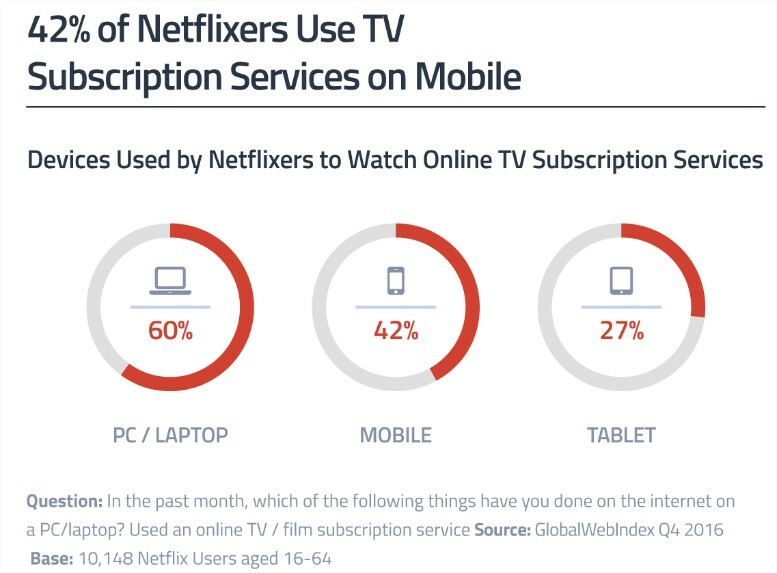 According to GWI, 42% of Netflix subscribers watch their favorite SVOD service on mobile devices, which is quite extraordinary. With further technological advancements on the horizon, including the integration of VR, and such an incredible demand for mobile, we’re looking into the future of video streaming – and it’s not much tied to a living room television set. Now the increase in mobile consumption is firmly planted into the minds of content providers and broadcasters, the rise of mobile-first devices seems inevitable. To provide an optimum mobile-based consumer experience, publishers will begin designing services tailored to mobile devices, specifically. As more and more people tuck into long-form content via their mobile devices, providers will invest a greater sum of money in developing services that offer a superior viewing, browsing, and decision-making experience on a plethora of mobile devices. Towards the end of last year, media giant Time Inc. launched their very own mobile-first video platform called The Instant. This revolutionary video platform has been developed to offer ‘fluid viewing’ to mobile users and offer pop culture fans 24/7 access to their favorite celebrity-based video content without any UX or screen quality issues. Netflix, as the front-runner in SVOD, announced support for HDR technology on mobile devices. It’s a big step towards meeting the demands of their user base. As Netflix, Amazon, Hulu, and now Google with YouTube TV, many other SVOD giants start gearing up to improve their services and compete in the video streaming battlefield, we’re expecting exciting things from mobile-first this year and beyond. There’s no doubt about it: mobile is the future. For content providers looking to offer the modern consumer a platform that they will use time and time again, adopting a mobile-first mentality is a must.